Here are the 5 key elements of the on-brand SEO copywriting process which can help you get the maximum conversions out of the deal. The most important element of the SEO copywriting process is the keyword density selection. 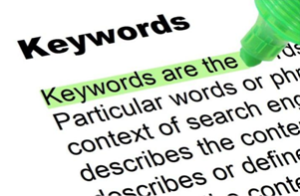 Without the ample amount of keywords in your content, it will not generate the desired traffic in a limited time. The SEO copywriting process will increase the number of keywords in the content as per your requirement. The process can also dilute the overall content in case it is stuffed with just too many keywords. Keywords analysis and research is a big part of the process too. The top SEO copywriters can help you leverage the best internet-based tools to perform a comprehensive keyword research. They can also ensure that the density of the keywords stays optimum and homogenous throughout the entire length of content. A high density of keywords in the introductory paragraphs or the conclusion of the blog is not beneficial to your website. In fact, Google and other search engines will recognize this practice as keyword stuffing. After recognition, they will penalize the website and push it down the search result rankings by a significant amount. Readability is a big part of the SEO process. Great content will go unnoticed if it is not readable enough. Increased readability allows you to keep the audience engaged on your website for a longer period. This process increases the chances of a conversion significantly. An SEO copywriter knows the importance of creating lists and adding subheadings to the content body. The copywriter also uses extremely simple language to appeal to the masses. The use of complicated and lengthy sentence structure does more harm than good. By adding enough space between the sentences, the SEO copywriter can increase the readability of the content by a major factor. Under certain circumstances, the copywriter can also work with the web developer to select the write font and theme of the website, so that content stays readable throughout the web page. The content addition is a big part of the SEO copywriting process. It helps in the dilution of the overall keyword density. With the content addition process, you can keep all the important keywords and spread them homogenously across the content. You don’t need to get rid of essential keywords just to increase the readability of the content. The SEO copywriters can help you drive conversions by generating content that is ready for social media consumption. They can generate small meta-titles and meta-descriptions for the blogs and articles so that you can share them on social media platforms easily. The best copywriters can help you leverage the overall benefits of SEO, SEM (Search Engine Marketing) as well as SMM (Social Media Marketing) together. With this feature, you can easily share your content on multiple social media platforms to increase the readership. The copywriter can also help you create a sustainable and consistent brand image for your company on the internet. The best copywriters understand your company’s ethics, requirements as well as the target audience to generate highly focused and specific content. 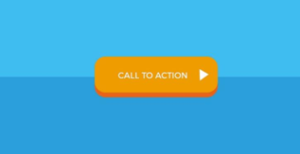 The Call to Action, also known as CTA is one of the most important elements of a functional article/blog. The top SEO copywriters are smart enough to incorporate the CTA in the content in an extremely subtle manner. They know how to correctly balance the informational and promotional aspects of the overall content so that it drives up the conversion by a major factor. The SEO copywriters make sure that your call to action lines receive the necessary attention. They are experts in targeting the customers’ psyche, making them click that purchase button at the end of the blog. 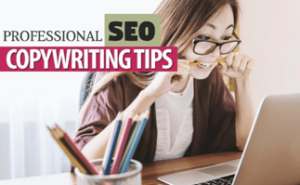 Modern-day SEO copywriters also leverage technologies such as keyword planner and tools like SEMrush to increase the overall impact of the content. With high-quality copywriting services, you can see an exponential growth in conversion over a short period. Hello, I am Amara Luis. I am digital marketing consultant and freelance writer who love to write about SEO services & different marketing tips. I have years of experience in internet marketing field. I offer freelance writing, blogging, copywriting & outsource SEO services to businesses. 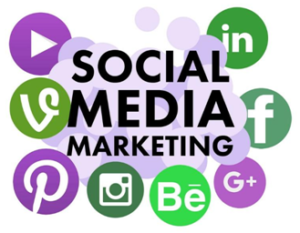 I have worked with many B2C & B2B businesses by providing them internet marketing content that gain attention & enhance their search engine visibility. Next Next post: How To Find Out The Best SMS Service In India?